Bulgaria celebrates on March 3rd its National Holiday, marking the 134th anniversary of its Liberation from five centuries of Ottoman yoke. The Team of Novinite.com (Sofia News Agency) congratulates its Bulgarian readers on the occasion of Liberation Day! 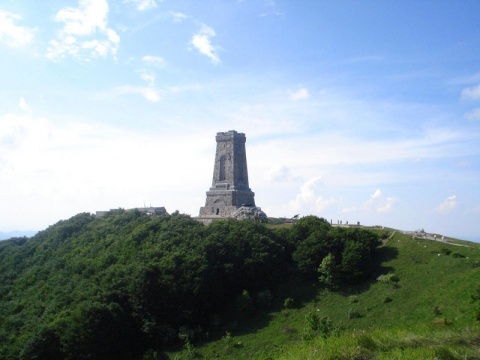 The 134th anniversary of Bulgaria's Liberation will be honored with ceremonies, traditionally held throughout the country, particularly solemn in towns and cities boasting victorious battles of Russian and Bulgarian soldiers in the 1877-1878 Liberation War. The Russo-Turkish War of 1877-1878, known in Bulgaria as the Liberation War, started in the spring of 1877. Russia was moved to declare war on the Ottoman Turkish Empire after the atrocities against the Bulgarian population during the April Uprising of 1876, which were made known to the world by US journalist working for the British press, Januarius MacGahan. Some 66 000 Russian, Belorusian, Ukrainian, Finnish, and Romanian soldiers were killed and about 140 000 were wounded on the Russian side of the war. About 30 000 Bulgarians were slaughtered by Ottoman troops and irregulars during the fighting. On 3 March 1878, the Peace Treaty of San Stefano (a tiny town near Istanbul) between Russia and the Ottoman Empire was signed, bringing Bulgaria back to the political map. The Peace Treaty of San Stefano marks the revival of the Bulgarian State, dominated by the Ottoman rule since the end of 14th century. However, the San Stefano Treaty was not final and was revised at the Congress of Berlin, which took place a couple of months later in 1878. It ended with the redistribution back to the Ottoman Empire of certain Bulgarian territories that the previous treaty had given to the Principality of Bulgaria, most notably Macedonia. The Congress of Berlin (June 13 - July 13, 1878) was a meeting of the European Great Powers' and the Ottoman Empire's leading statesmen. In the wake of the Russian-Turkish War, 1877-78, the meeting's aim was to reorganize the countries of the Balkans. Otto von Bismarck, who led the Congress, undertook to balance the distinct interests of Britain, Russia and Austria-Hungary. The congress was aimed at the revision of the Treaty of San Stefano and at keeping Constantinople in Ottoman hands. March 3 was honored for the first time in 1880, on the occasion of the Enthronement of Russian Emperor Alexander the Second. Since 1888, March 3 has become Bulgaria's Day of Liberation, but it was not declared National Holiday until 1978. With a Parliamentary Decree from 1990, March 3 was included in the list of Bulgaria's official holiday.